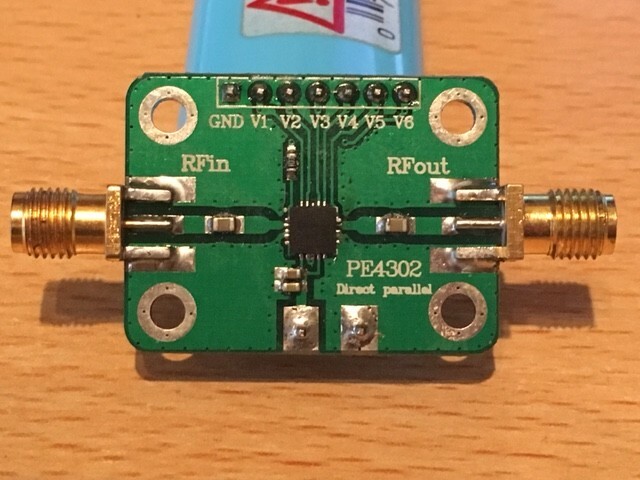 I found an attenuator board on ebay for less than 10 dollar. 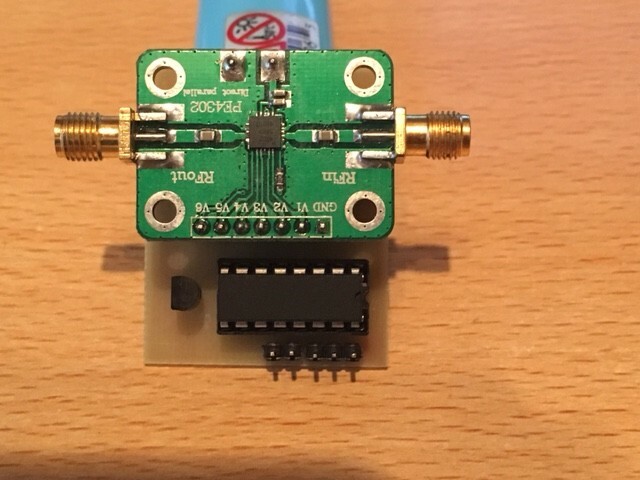 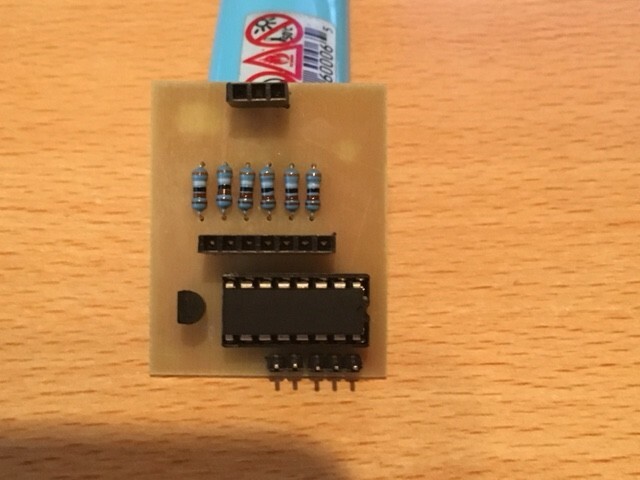 My idea was to control this board over I2C so I could connect it to my I2C PLL controller or from another I2C micro controller board. 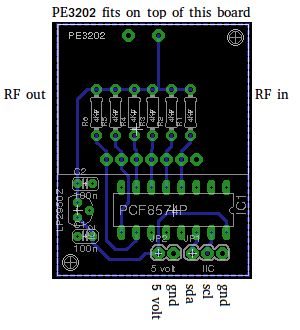 I designed a small board with an I2C to I/O converter (PCF8574).